Introduction: The scale Satisfaction with Amplification in Daily Life uses a simple and easily administered questionnaire to evaluate the adaptation of individuals to their hearing aids. The objective of this study is to validate the scale for European Portuguese speakers, by means of translation and cultural adaptation of the questionnaire. The study includes an evaluation of reproducibility and a description of the results of the administration of the questionnaire to patients fitted with hearing aids. Material and Methods: We invited 147 individuals fitted with hearing aids (uni- or bilateral) to participate in the study. Participants had used a hearing aid for at least six weeks and were patients of the Department of Otolaryngology at the Egas Moniz Hospital (Lisbon). The consent as well the guidelines for translation from and into the English language were obtained from the author of the scale, and the translation from and into, and cultural adaptation were carried out, along with an evaluation of reproducibility and internal consistency. Results: The participants were 54% male and 46% female, aged between 16 and 93 (66.09 ± 17.41 years). The results of the study showed an overall level of satisfaction of 5.4 among hearing aids users. 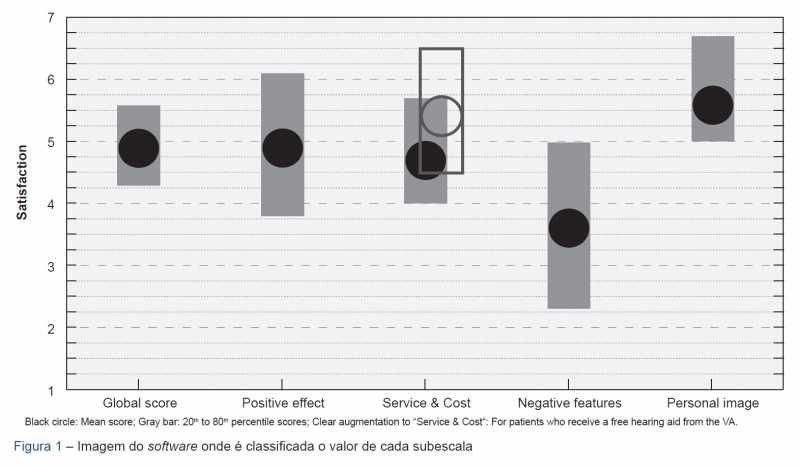 The sub-scale satisfaction levels were: positive effects 5.88, service and cost 5.25, negative effects 4.24, and self-image 5.57. The Cronbach α score was 0.75 which indicates good internal consistency. Furthermore, the questionnaire’s overall and sub-scale average scores did not differ significantly from the results obtained under the American scale. The inter-examiner reproducibility was also good. 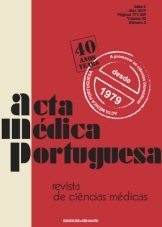 Discussion: This study provides reliable results of the scale for the Portuguese of Portugal and adequate internal consistency, with significant age variability in the sample. Conclusion: This adaptation of the Satisfaction with Amplification in Daily Life questionnaire for European Portuguese speakers should be considered a good tool for evaluation of the level of satisfaction of hearing aid users, and until now, is the only available scale for speakers of European Portuguese. Full article available in here (Portuguese only).